We are a nimble software consulting firm. Whether you are developing a website, designing a phone app, or just need help from a super geek, you should give us a call. 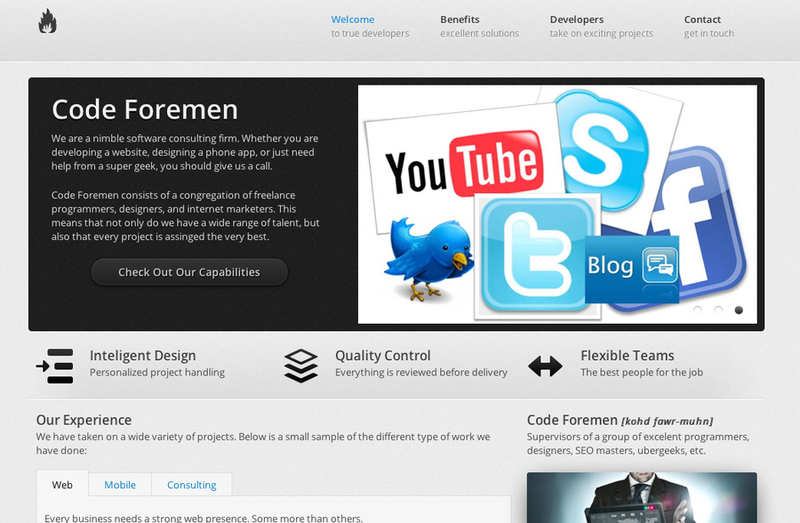 Code Foremen consists of a congregation of freelance programmers, designers, and internet marketers. This means that not only do we have a wide range of talent, but also that every project is assigned the very best.